Glued plywood / timber / steel / resin / paper, grinding, moulage, nails, easy sawing work, etc., Glued plywood / timber / steel / resin / paper, grinding, moulage, nails, easy sawing work, etc. I use it to strengthen my grip. It requires a good grip to use. The balance of red and black colors exudes a "feeling to do" to train your grip. I am sorry. Because I usually play the guitar instead of the original usage, I am allowed to use it for grip up. It is powerful. This review is about item#8392063. At the beginning I feel confident enough to struggle to grasp! ! ! I am completely satisfied. I was looking for a large size clamp that could maintain state when adhering to wood and wood. It is powerful and has a sense of stability and it is useful. This review is about item#8392072. If it's a little something, you can fix this enough. Because it is rich in size, if you leave it in hand at hand, it is convenient for light work. I am sorry that the shortness of the pocket and the weakness of the spring though it is large. This review is about item#8392081. 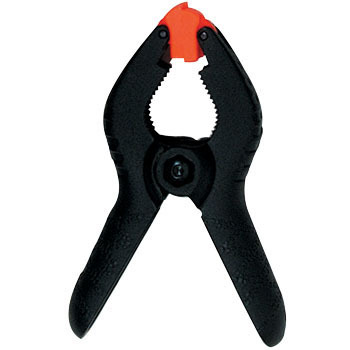 It can be used with considerably strong clamping force which can not be regarded as made from resin. This review is about item#08392072. There is no problem in price and quality either. Spring is quite powerful. This review is about item#08392054. It was used to fix the table and wood during cutting of wood and router processing. I firmly fix it and the tip also moves according to the angle so it can be processed without any deviation so it will be handy. So spring will be surprised at how it returns when it is strongly dislodged (it is going to be scattered around the body) There is not no doubt about durability is. It is good because it can be easily used and securely fixed. This review is about item#08392063.